Get yourself a free Potato Growing Kit and start growing your own organic potatoes in your backyard and teach your kids in the process. 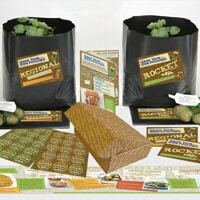 All you have to do is register on their website and they will send you free potato growing kits along with worksheets. Click on “GET IT HERE” button and follow instructions given above in order to receive your free kit if you have kids between age of 5 and 12.